Join Us... Follow Us...Like Us...Share Us! 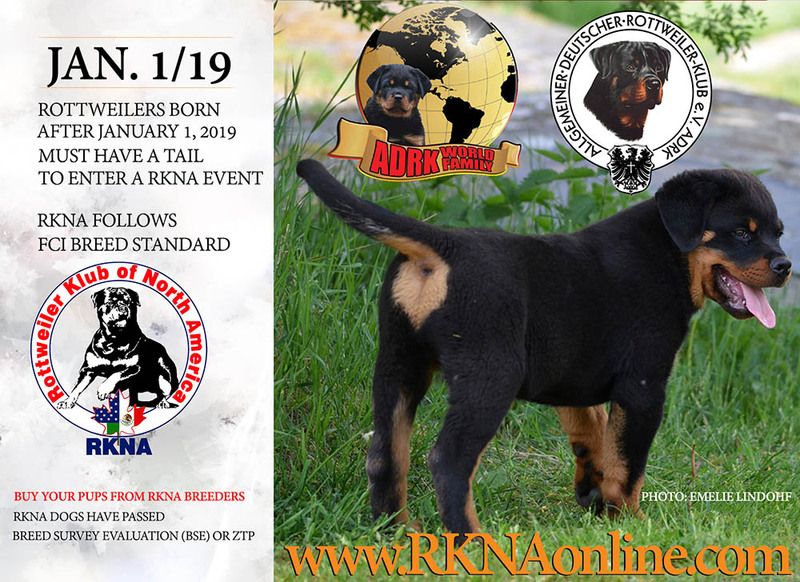 Rottweiler Klub of North America (RKNA) RKNA—promoting the Rottweiler according to ADRK breed & performance standards. RKNA is a member club of ADRK World Family. ADRK and RKNA share the common goals to preserve the Rottweiler in association with ADRK Breed and Performance standards. RKNA events are sanctioned and approved by RKNA. Membership is open to all countries. 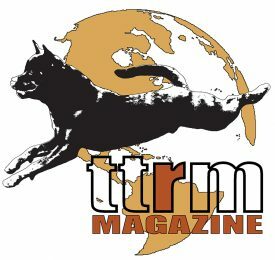 Join RKNA today and support the Rottweiler! RKNA is supported and recognized by ADRK. 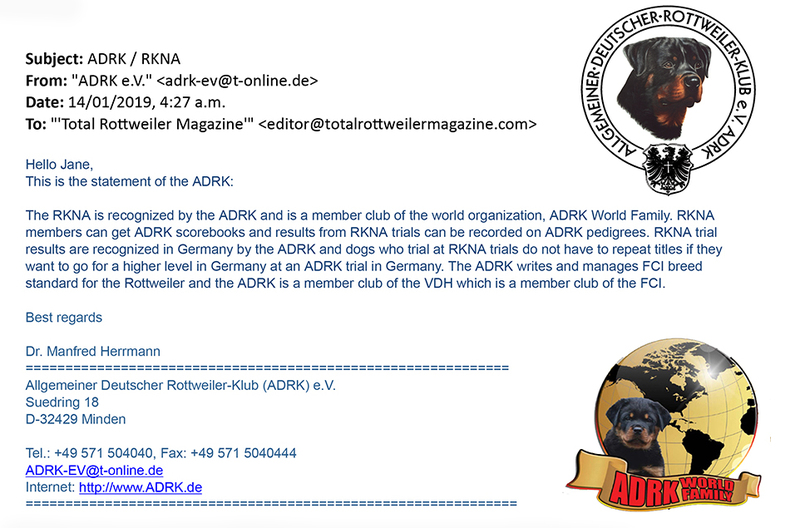 RKNA is supported and recognized by ADRK (Allegmeiner Deutscher Rottweiler Klub). RKNA is a member club of ADRK World Family. ADRK and RKNA share the common goals to preserve the Rottweiler in association with ADRK Breed and Performance standards. Please help & donate today to the website! Copyright 2019. Rottweiler Klub of North America. All Rights Reserved.